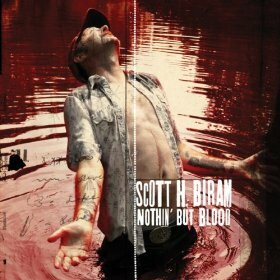 Steve Terrell: “Now I doubt that Scott H. Biram would ever sing the praises of a woman who drinks appletinis. He seems like he’d be more attracted to the straight whiskey type. In fact, “Only Whiskey” is the name of one of the rowdiest tunes on this new album by gruff-voiced Biram. “Only whiskey can sleep in my bed,” he growls over his distorted electric guitar. A Trio of bearded man playing sparse, ultra-relaxed, hypnotic blues pieces,soft and to the bone, with traces (and for friends ) of: JJ.Cale (rocking chair), Suicide (past Future R’n’R), Canned Heat (Falsetto), ZZ Top (Beards, Boots), Neu (plingplongplucker), 22-Pistepirkko (hot finnish potatoes). Bone Voyage Recordings is excited to have signed them and releases their selftitled debutalbum for Europe November 2013. 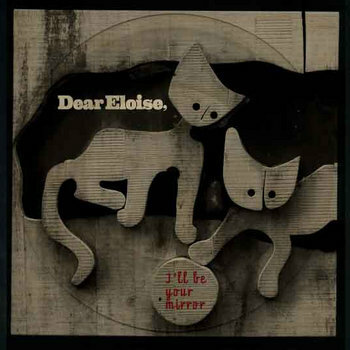 Chinese lo-fi pop heroes Dear Eloise have teamed up with Italian craftsmen, Bubutz, to create this limited-edition handmade 7″ – a fuzzed-out rendition of Lou Reed’s classic “I’ll Be Your Mirror” redone with Chinese lyrics. These beautiful handmade picture discs are all individually lathe-cut and mounted on a printed wooden base in either circle or square versions. They each come packaged with individually numbered inserts printed on an antique printing press using an original Liberty wooden type set dating from the early 1900s. This special release is limited to 30 copies with only 10 available in China.